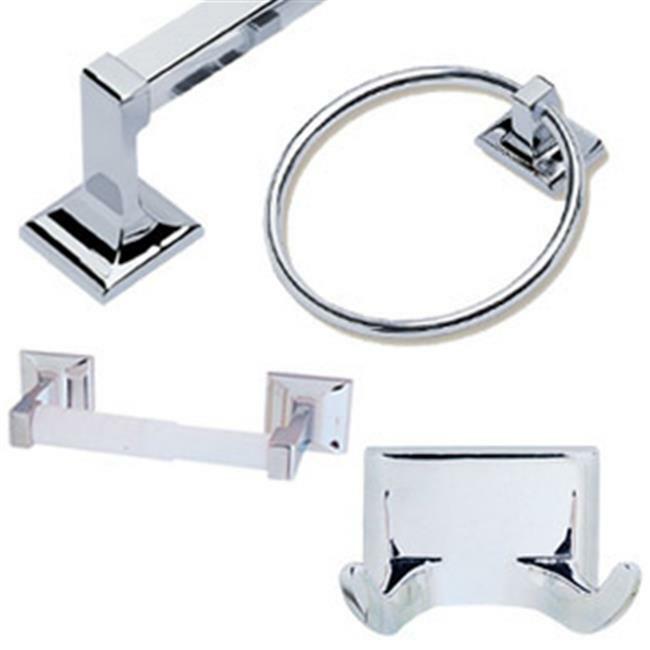 The Design House 534628 Millbridge 4-Piece Bathroom Kit comes with a towel ring, robe hook, towel bar and toilet paper holder. Made of zinc and aluminum with a polished chrome finish, this kit adds a modern aesthetic to most decors. Hang large towels on the 24 in. towel bar and hand towels on the 5-9 in. towel ring. The toilet paper holder measures 8.2 in. and the robe hook is 2.5 in. The Millbridge collection features ceiling fans, light fixtures, shower heads and faucets and much more.